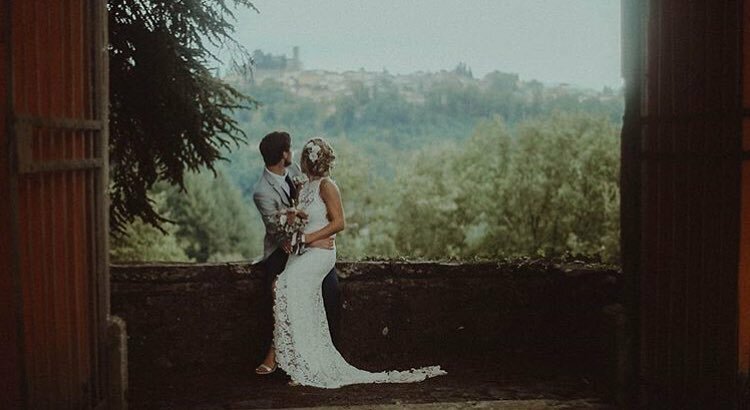 “The 18 months of planning flew by in a flash, it seems like only yesterday we emailed you out of the blue after feeling so unsure and overwhelmed by the stacks of advice online about planning an Italy wedding. Then you came along and everything finally seemed less daunting, we actually felt our dream wedding was possible for the first time. It’s a huge task getting so many friends and family over to another country for such an important day, so to have someone there in Tuscany overseeing everything took so much hassle and worry away from us. There was alot of the planning we just left to your judgement, and we’re so glad we trusted in you. You sure as hell know how to throw a party! From the food and wine, to the beautiful venue you helped us choose which we absolutely fell in love with, to the decorations on the day. Everything was what we wanted and more. We couldn’t have planned this alone and will treasure the memories of the most amazing day of our lives in the most beautiful setting, forever.